You are at a place where you can sell your 4×4 easily with our Metro cash for 4×4 Melbourne service. Don’t worry if your 4×4 is not drivable or dead. We’ll still pay you handsome amount and will buy your 4×4 in Melbourne. Top dollar cash for 4×4, pick up, removal and paperwork is responsibility of Metro 4×4 wreckers Melbourne team. You’ll not be get charge for any of our service. Get price quote now by calling to our Metro 4×4 wreckers Melbourne on 0476 906 452. We are one call away from buying and wrecking your 4×4. 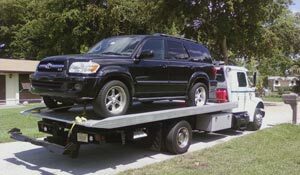 Get quote, get cash for 4×4 and get it removed on same day with our Metro car removal service. If you’ve a old, unwanted, damaged, scrap or junk 4×4 that is in any condition, we’ll still by it for decent package. 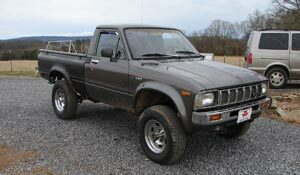 We are top buyer of every 4×4 vehicle and we buy every Japanese, American, European and Australian made 4×4. We”ll wreck your 4×4 and get reusable parts from it. We offer 4×4 wreckers Melbourne service to all suburbs of region. For all four wheel drives, either they are in running condition or in not running condition, pick up and removal is free. Its doesn’t effect the price that our team quoted to you for your 4×4. So, don’t take headache of any removal and pick up charges. We serve you with our free, reliable and efficient 4×4 removal service. It also doesn’t matter for us about the location of your 4×4 in Melbourne, we’ll come with the two truck and we’ll tow your car on tow truck. 4×4 usually come with heavy engines as compared to cars that’s why we pay more for these sort of 4×4. Depending on the make, model, age and overall condition of the 4×4, we can give you up to $6,000 cash on same day. We buy all Toyota land cruiser, Hilux, Rangerover, Jepp Cherokee, Holden Rodeo, Honda CRV, Mercedes Benz, Nissan Patrol, Mitsubishi Pajero, BMW etc. We buy all 4×4 with handsome amount. When you contact us for your 4×4 removal, then depending on the make and model, year and condition of the 4×4, we prefer on spot inspection in order to give more precise price quote for your 4×4. And we don’t charge for this inspection. And after inspection we give our best to 4×4 owner. We are 4×4 wreckers in Melbourne who buy 4×4 for wrecking. We wreck four wheel drives and reuse good parts of old, damaged, unwanted and scrap 4x4s. We buy and wreck all Toyota, Rangerover, Jepp, Holden, Honda, Mercedes Benz, Nissan, Mitsubishi and all other makes. So, If you want professional wrecking service in your area then Metro 4×4 wreckers Melbourne are most reliable and efficient option for you. If you want to wreck your car and your location is Melbourne, regardless of your suburb and location. Then we can buy and remove your car for wrecking on same day. In order to get our 4×4 wreckers Melbourne service, give a call to 4×4 wrecker team and get it done on same day.Get more useful info regarding 4x4wreckers and cash for 4x4s by clicking on the links.